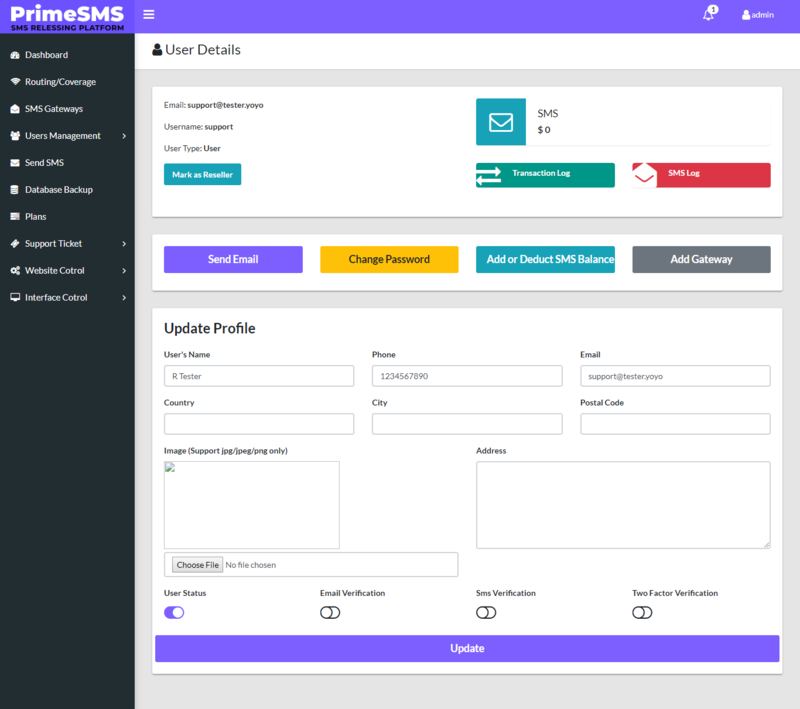 PrimeSMS is a multiple gateway SMS Reselling script which allow you to start your own SMS gateway Business within Few Minutes. Fully Dynamic, Automated, Secure , Safe And Scalable SMS Portal At Very Reasonable Cost! 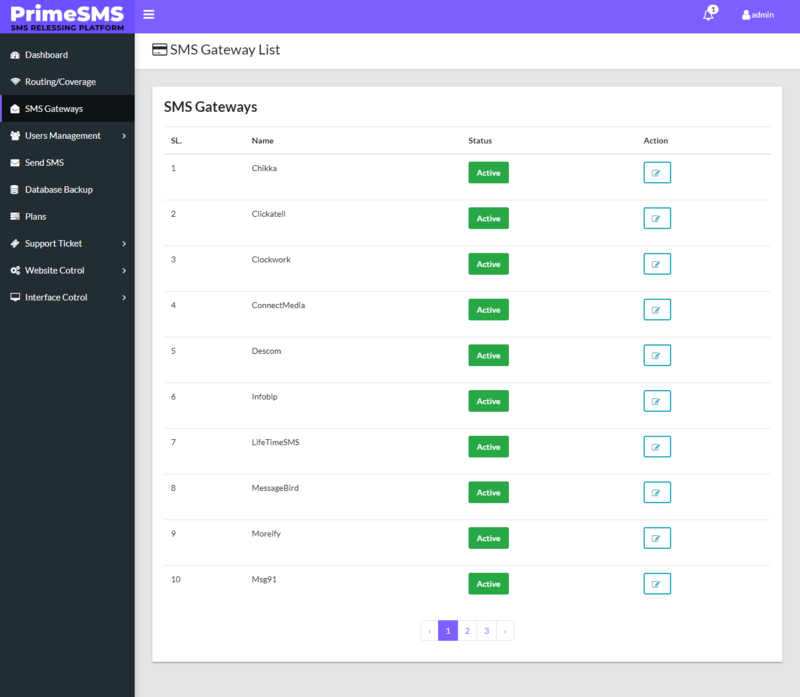 Currently 30+ Popular SMS gateways are inside in the script. 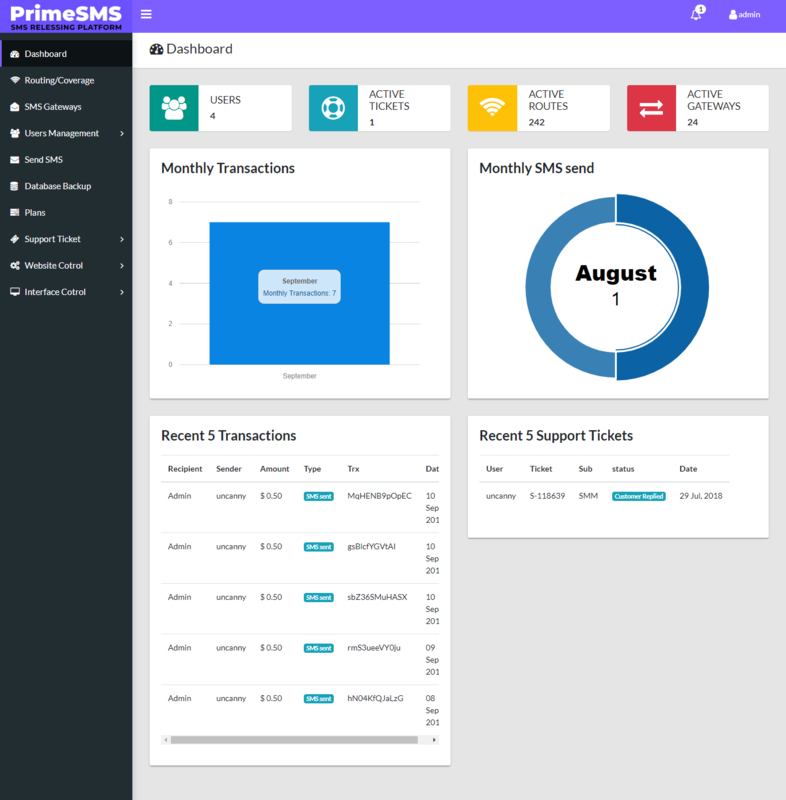 PrimeSMS Support Almost All API’S Globaly. PrimeSMS Also Has own API Connectivity Solution. Send SMS / Mass SMS. 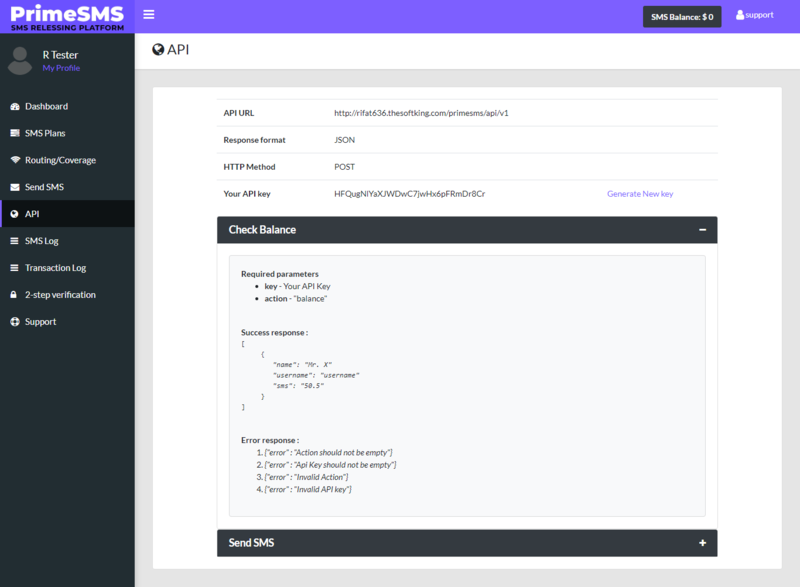 SMS Gateways / API’s Management. 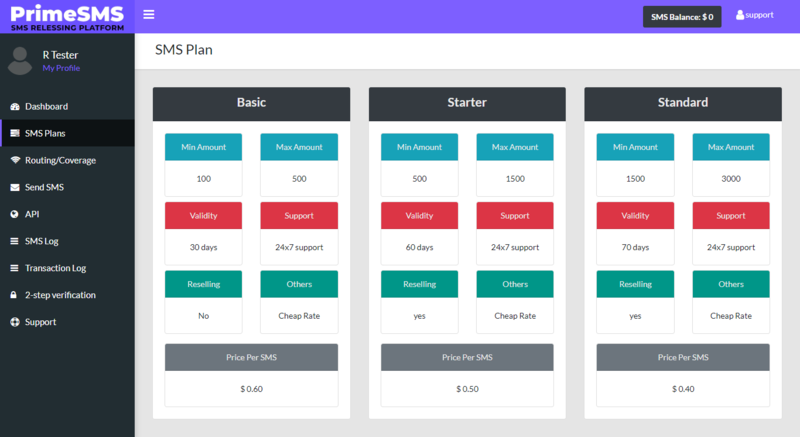 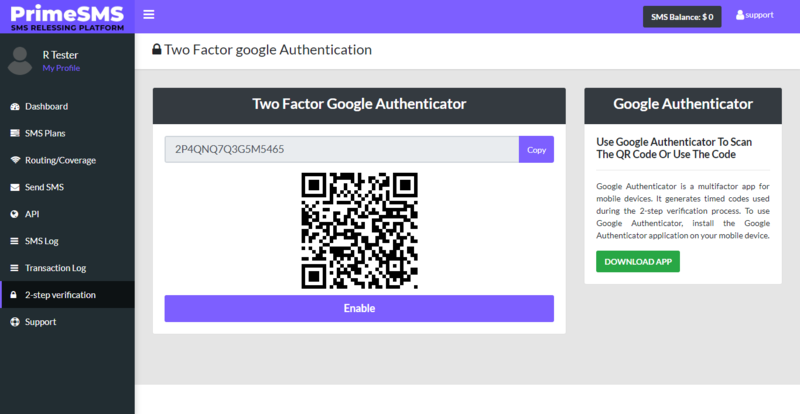 User Wise API Enable System.